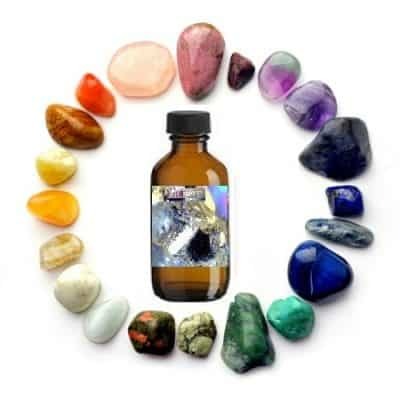 7 genuine crystals associated with each Chakra center are affixed on selenite from the Cave of Crystals! This selenite is a white/clear striated crystalline body which creates a sheer source of calming, spiritual light. 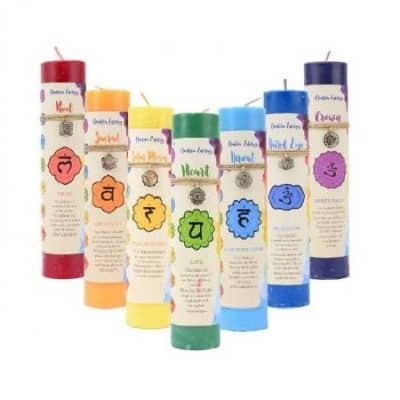 It works with the higher spiritual Crown Chakra in accessing our higher consciousness, spirit guides and the angelic realm. Because of its striations, like tourmaline, it works along the spinal column grounding and anchoring our Earth vibration and utilizing kundalini energy to rise freely up our light body, stimulating each center as it vibrates. 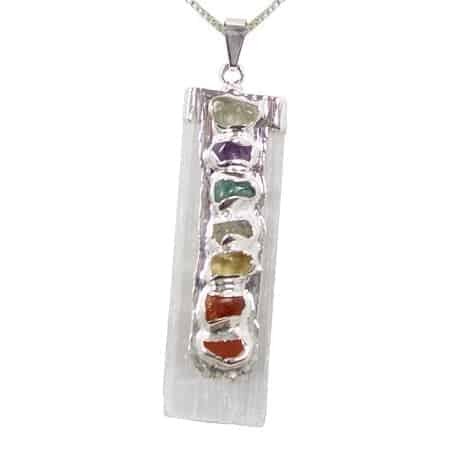 Attached to selenite are the Chakra stones as jasper, carnelian, citrine, peridot, aquamarine, amethyst and clear quartz. This stone is highly recommended for meditation and working on the sacred spiritual in your life. Through meditation with selenite, growth and mental focus is attainable. 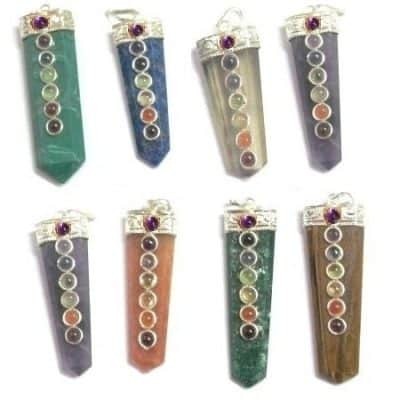 What better stone to associated with the 7 other crystals used for each Chakra! This pendant come with an electroform plated 24″ chain. 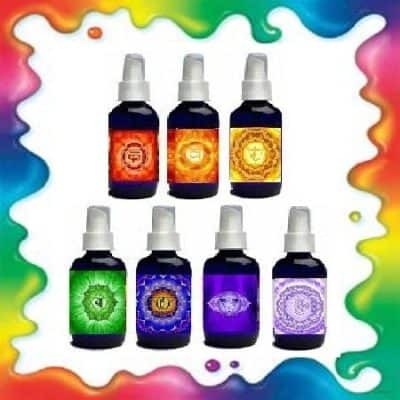 All pendants are sold with the metaphysical purpose and meaning of the pendant with means of use, cleansing instructions and healing suggestions. They measure approximately 2″ size and also come with an organza pouch for storage.